If you believe there’s no such thing as bad news, the NDP had a banner day earlier this week. On the popular Nationalnewswatch.com aggregator website, the party commanded four of the five banner stories. But the reality is that this rare single-party feat of newsworthiness reflected a devastating state of affairs for the once-mighty Orange Wave. The top story featured a major flip flop in the NDP’s inexplicable original position on Venezuela, which opposed Canada siding with pro-democracy president Juan Guaido over election-rigging, economy-destroying Nicolas Maduro. 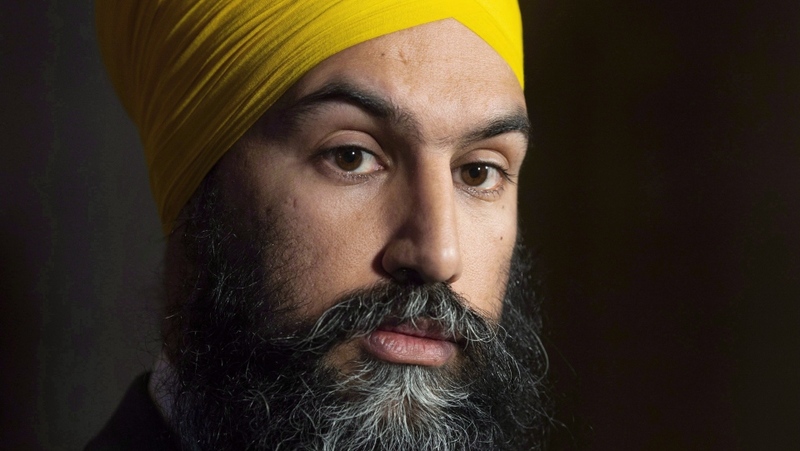 The caucus foreign affairs critic then announced the new party position was supporting Guaido after all, only to have NDP leader Jagmeet Singh insist the NDP had no presidential preference. That was followed by stories about record-low party popularity in Quebec and the discovery of a fake news story about Singh owning a $5-million mansion in Vancouver, which he doesn’t. And then, just to prove the NDP problems aren’t limited to the federal realm, the final story was how the Ontario NDP failed to redact secret documents revealing Doug Ford health care reforms. Their whistleblower paid for that leaker-identifying oversight with his job. It couldn’t get worse, right? But, oh, it did. Within hours the soul of the party, compassionate former MP Paul Dewar who was beloved by all sides, was confirmed to have died of brain cancer. That was followed in rapid succession by the party’s national pharmacare plan landing with a no-news-pickup thud and the leader being attacked in a debate over positions he doesn’t support. It was a slow motion train wreck of cringe-worthy coverage. In short, dumpster meet fire. Amid rumbles of more NDP MPs opting not to run in what the polls foreshadow as an electoral annihilation, it’s increasingly obvious we’re seeing the implosion of the party Jack Layton built into a force for change in Canadian politics. As the NDP limps toward a rendezvous with destiny, that being a B.C. by-election which will either confirm or kill Singh’s leadership, perhaps the party should embrace a new view to attracting headlines. Until the byelection is over, no NDP news is good news.